I hope everyone had an enjoyable Mother's Day! My Sunday started with breakfast in bed. Later on the family got together to celebrate the day and my birthday (tomorrow). And I got what I asked for—I'm going to go skydiving! I'm SO excited! I'll post all about it when I do it. Today I'm just catching up on work and getting some goodies together to show you this week. I think you'll enjoy them. 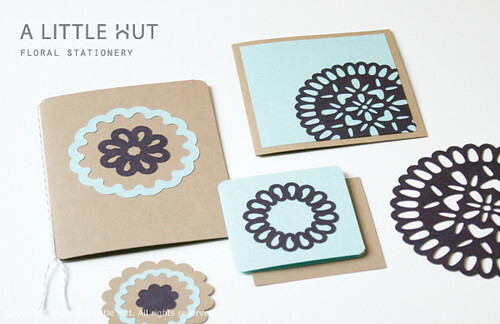 For now here is a simple Floral Stationery set that is very versatile. Combine different colors and shapes according to the occasion/recipient and your cards and tags will never look the same. You can find it in the shop now!